The most recent attacks of the Asian killer hornets in one of the remote provinces in China have resulted to more than 20 deaths and almost 600 people injured. According to authorities, the insects become active and attack people when their breeding nests are disturbed. Hornets are aggressive when defending their nests and they sting when provoked or threatened. Some people are allergic to the toxins produced by the hornet stings. One of the witnesses described how the hornets swarmed a woman and child who later died due to the toxins from the insects. It was observed that the hornets are sensitive to the smell of people. They also want to chase those people who run away from them. Most of the stings are found on the victim’s head, hands, neck and feet. The deaths and injuries happened in the remote areas in the central Shaanxi province. With the increasing number of incidents, a 24-hour emergency team will be created by the local government to respond immediately to hornet attacks. There are around 20 species of hornets. 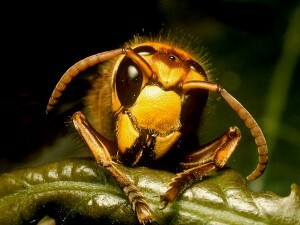 The world’s largest hornet specie is known as the Vespa mandarinia and can grow up to 5 cm long with a 6 mm sting. The sting is used to kill prey, defend hives and is also capable of injecting large amount of toxins to the human body. According to the Guinness Book of World Records, the toxin from the hornet’s sting can dissolve human tissue and also lead to to anaphylactic shock and renal failure. The female hornet is bigger than the male; the wings are reddish-orange; stomach is orange with a brown stripe. Hornets breed in places with warmer temperatures or dry weather condition. They are very protective of their nest which resembles an inverted teardrop-shaped ball and attached to a tree. The countries where the giant hornets can be found are China, Russia, Korea, Taiwan, Japan, Vietnam, India, Nepal and Sri Lanka. Hornets fly up to a maximum speed of 40 kph and can travel up to 100 kms per day.